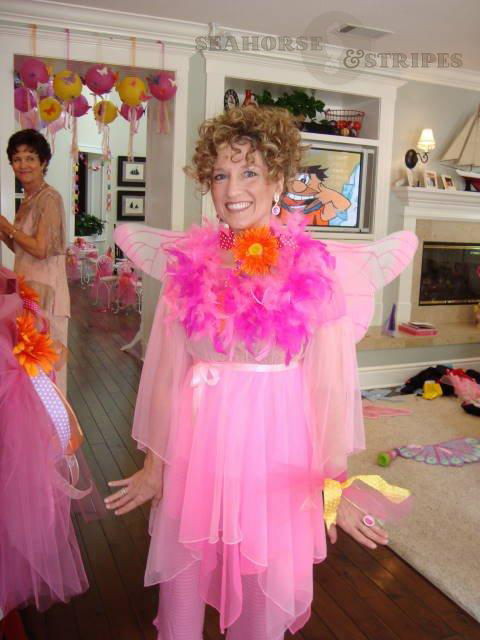 The inspiration for her party was the Bonjour Butterfly book in the Fancy Nancy book series. 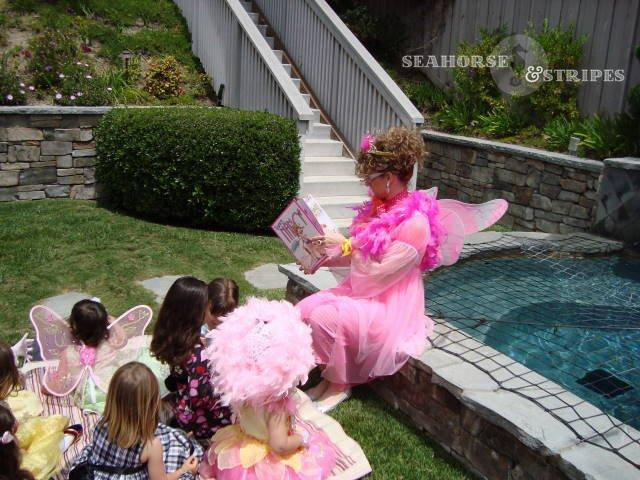 Since Nancy loves tea parties, we knew our butterfly-themed birthday had to be a tea party too. 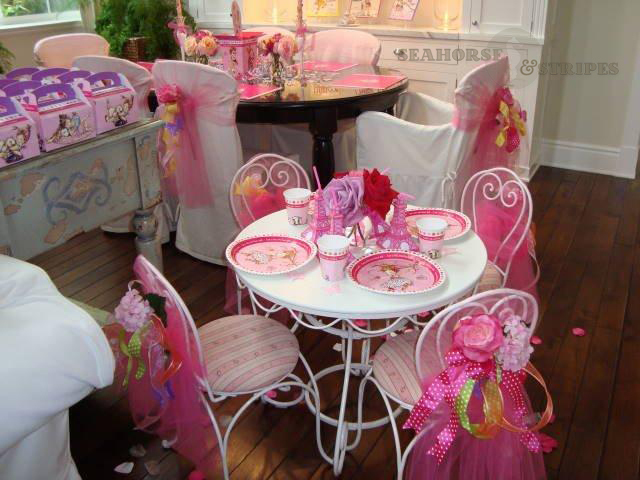 I rented these adorable tea tables from a local woman who hosts children's tea parties for a living. 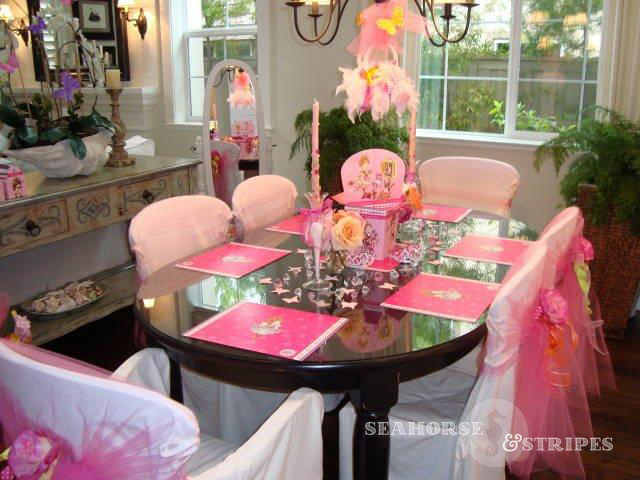 To make them extra special, I added fuchsia pink tulle to the backs of the chairs and polka dot wired ribbon with silk roses in the center. 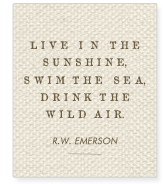 I did the same for our dining room table below. My daughter had to have butterfly-shaped tea sandwiches, so I used a butterfly cookie cutter, and that did the trick! 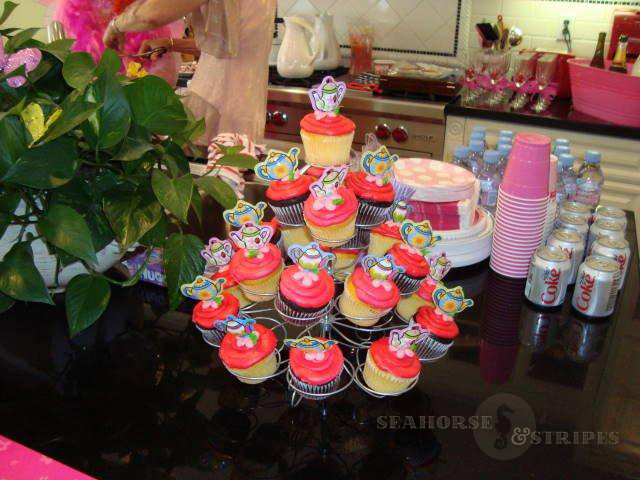 We couldn't decide on whether or not to do a cake or cupcakes. 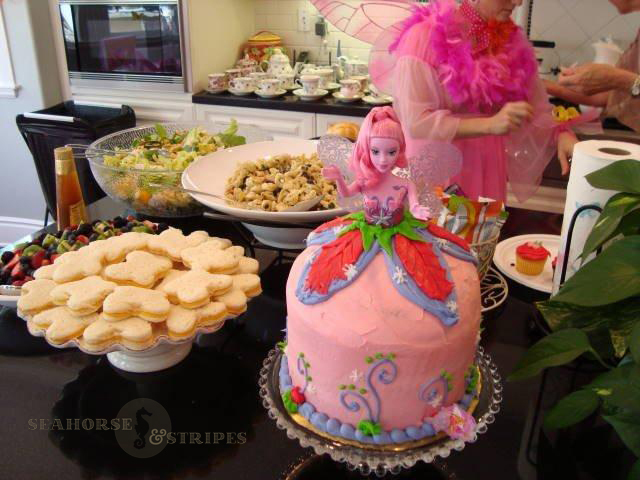 In the end we decided on a butterfly fairy Barbie cake, and cupcakes with tea pot cupcake toppers. 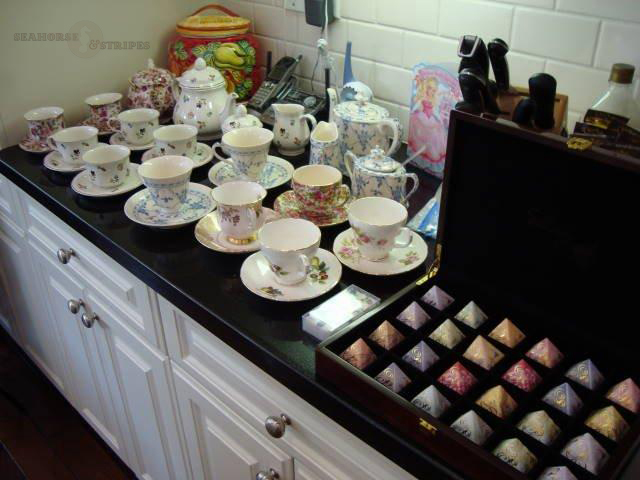 My mother-in-law has many beautiful tea cups and pots, so she gladly let us borrow them for such a special occasion. I found these incredible silk tea bags online in pyramid shaped boxes made by Silkenty. 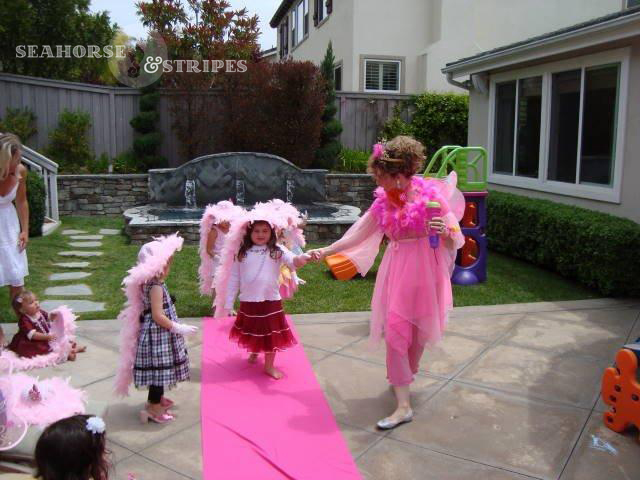 Auntie outdid herself as Fancy Nancy. She is a preschool teacher and jumped at the opportunity to make all of my daughter's birthday wishes come true! She read the Fancy Nancy Bonjour Butterfly book to the girls and did an outstanding job as Master of Ceremonies for our fashion show.